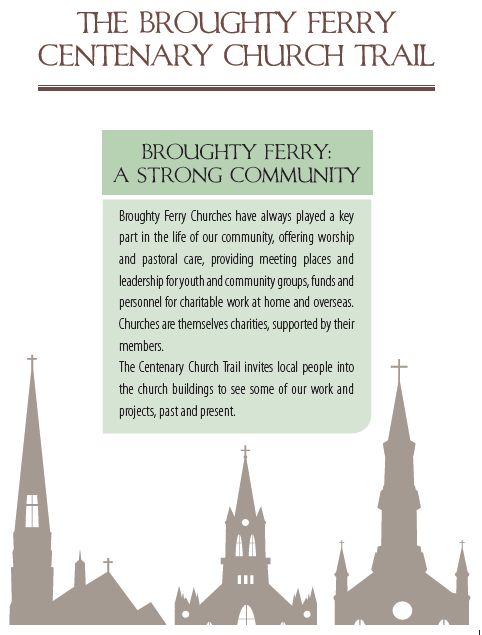 As part of the series of community events to mark the centenary of Broughty Ferry becoming part of Dundee, Broughty Ferry Churches have organised a number of events this week called the The Broughty Ferry Centenary Church Trail. These are the activities for this weekend - Saturday 2 and Sunday 3 November 2013. 10.00 - 4.00: Church open to visitors with displays including stained glass windows, overseas Meru project in Kenya and its links with Broughty Ferry community groups, our recent journey to linkage with St Mary’s Parish Church, Dundee. Refreshments available. 10.00 - 12.00: Church open for visitors. Display of youth handwork on the theme ‘Our Church’. Organ music and refreshments. 10.00-12.00: Guild coffee morning, to which all are welcome. Displays of work locally with schools, Starter Packs, Dundee Foodbank and overseas with Mary’s Meals and orphanage and feeding programme in the Phillippines. 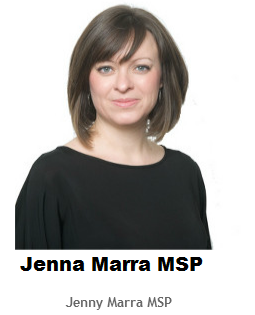 University, co author of ‘The Memory of Broughty Ferry’ written to mark the incorporation of Broughty Ferry into Dundee. 3.00-3.30: Organ recital by Mr Gordon Foster, organist from the diocese of Southwell and Nottingham. Ecumenical Service with joint churches’ choir and pupils from Grove Academy, followed by refreshments. Displays of work locally and overseas including 65th and 81st Dundee Guides and 44th Dundee company of the Boys Brigade, Broughty Ferry’s only BB company. Winner of the School Poetry Competition will be announced and entries will also be on display.